“A blend of one, two, three and four-year old lambic, fermented and matured in oak casks by wild yeasts carried on the open air. During re-fermentation the younger yeasts have inexplicably gone dormant – knocked off early for a long snooze, you might say – which halts the fermentation, assuring that you will taste the original flavors of the lambics in their purest form. 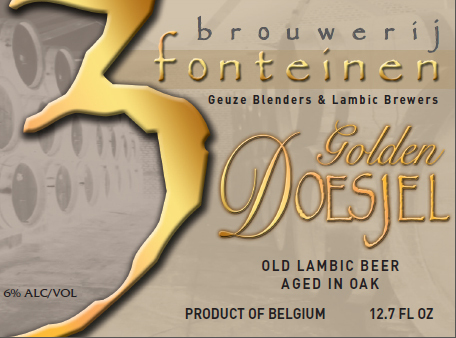 Doesjel, in Flemish, means roughly, “Snoozer.” This Doesjel will pour without a foamy head, exactly like unblended lambic. Lambic is brewed from 60% barley malt, 40% unmalted wheat, hops and water.